Receive Severe Weather Alert Warnings That Are Specific To Your Business And Property With 95%+ Accuracy. We continually track all severe weather 24/7. This includes smaller storms that are often missed by other “official” warnings. Secure outside items, close windows and storm shutters, move your assets to safety. A free app so you can receive alerts directly to your smart phone or tablet. If the location of your commercial assets or office is not directly affected you will not receive an alert. We offer the only weather technology to profoundly change the status-quo approach to severe weather alerts and forecasting. Using technology designed for the military for exacting accuracy in ground combat scenarios, air campaigns, and NASA launches, this same systems is available for civilian market applications. Coupled with 24/7 monitoring by world-class operational NEXRAD meteorologists the result is the most accurate, site-specific weather products currently available. We take in the raw, real-time data from every National Weather Service radar station plus thousands of other weather monitors across the country. The raw data is then analyzed by our team of meteorologists who are all certified in NEXRAD (Doppler) systems. We call this “meteorologist in the loop”. 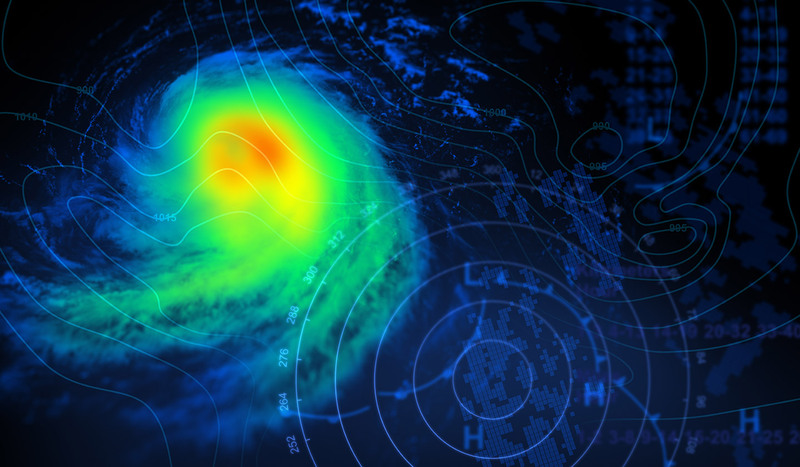 Unlike most weather companies, our team of long-serving, former military meteorologists have extensive experience in operational forecasting where extreme accuracy is required. The result is site-specific alerts for every kind of severe weather. That means we can monitor your home or building and let you know if it’s in harm’s way. Protect property, save lives and recover quickly.